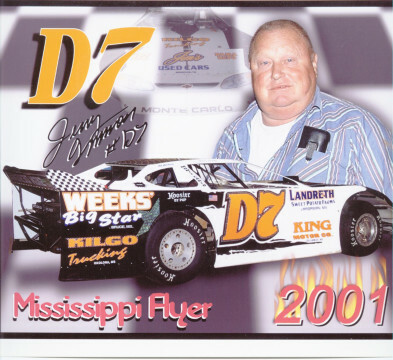 As told by Mike Kimble: Maybe the Mississippi driver who gained the most national short track notoriety, Jerry traveled the eastern U.S. racing his famous #D-7 dirt late model. Jerry would race competitively in West Virginia or Ohio one weekend against the nation’s top dirt late model drivers and show up at some obscure ¼ mile dirt the next week to race the local drivers just as hard. 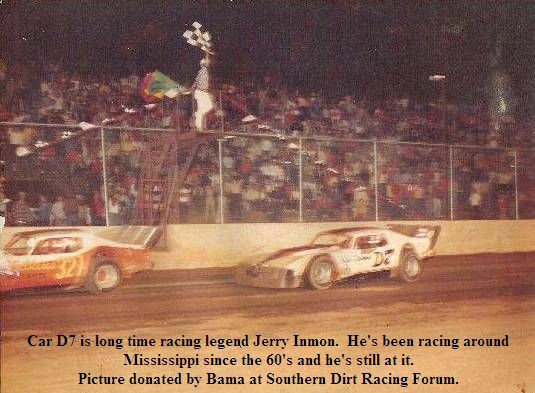 Jerry may have raced at more different dirt tracks than any other Mississippi driver.